Senior TMC leader Rabindranath Ghosh termed the allegation as baseless and said the attack was a fallout of infighting in BJP. COOCH (Behar): West Bengal BJP president Dilip Ghosh's vehicle was attacked Thursday at Sitalkuchi area of Cooch Behar district by unidentified miscreants. 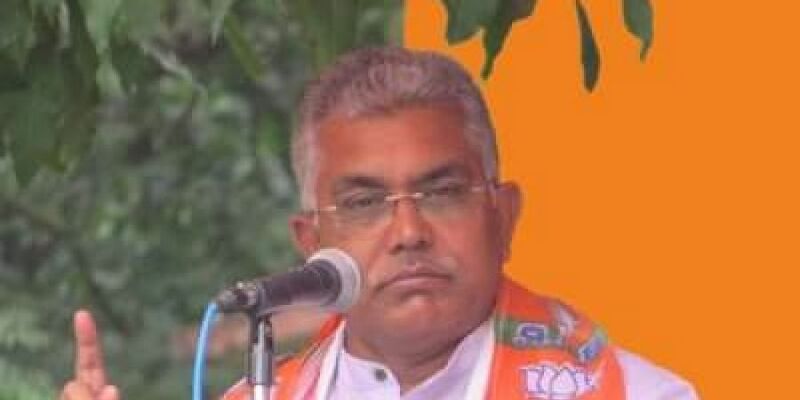 Ghosh is in the district to take part in the saffron party's 'Rathyatra'. He was attacked when he was on his way to Mathabhanga in the district. "TMC leaders attacked my car and shouted slogans demanding that I should go back. Some of my party workers were injured during the violence. The police were watching merely as mute spectators," he said after the incident at Sitai More in Sitalkuchi. The district police administration said they are looking into the incident. BJP president Amit Shah is scheduled to kickstart the party's 'Save Democracy Rally', comprising three 'Rath Yatras', in the state. BJP has claimed that the Rath Yatra would be a "game changer" in West Bengal politics and Shah had set a target of winning 22 out of 42 Lok Sabha seats in the state. Apart from Prime Minister Narendra Modi and Shah, several top BJP leaders and chief ministers such as Rajnath Singh, Arun Jaitley, Nitin Gadkari, Nirmala Sitharaman, Raman Singh, Yogi Adityanath, Uma Bharati and Giriraj Singh will participate in the campaign. Modi is likely to attend four rallies to give a thrust to the party's campaign in the state ahead of the 2019 Lok Sabha polls.